Josh Mullin hit a stoppage-time equaliser to keep Ross County in the William Hill Scottish Cup and deny Inverness after a 2-2 draw on Monday night. Caley Thistle twice led through goals from Aaron Doran and Brad McKay but substitutes Ross Stewart and Mullin both netted for the hosts. 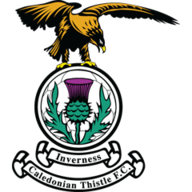 Inverness had the better of the fifth-round tie but they were left sickened by another draw - they have had 12 in the Ladbrokes Championship this season. Scott Fox pushed away a Joe Chalmers free-kick but was beaten moments later by Doran’s powerful strike on the turn from 20 yards in the 13th minute. Michael Gardyne was at the heart of a decent spell of pressure as the hosts tried to hit back. The midfielder dragged a shot well wide before seeing his cross headed just past his own post by Coll Donaldson. Gardyne got one effort on target but he had struggled to dig the ball out from his feet and Mark Ridgers pushed the stabbed effort wide. Inverness got back on top and Tom Walsh was twice denied by Fox before seeing a volley diverted over. Fox made an unorthodox stop from Carl Tremarco before County levelled as Fox side-footed home a wonderful cross from Gardyne from six yards in the 55th minute. The visitors bounced back quickly and Doran missed a free header before the winner came in the 65th minute. Donaldson flicked on Liam Polworth’s corner and McKay brought the ball down at the back post before lashing it high into the net from five yards via a slight deflection. Fox saved again from Walsh on the break as Inverness looked to be in control. 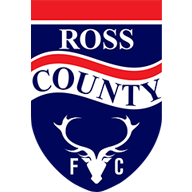 But there was a last-minute warning when Ridgers saved from Declan McManus after a long ball and the Inverness goalkeeper was beaten a minute later. Mullin beat the offside trap to race on to Gardyne’s lofted ball and kept his nerve to fire low past the goalkeeper and set up a replay on February 19.